ZigBee is a specification based on the IEEE 802.15.4 standard for wireless personal area networks (WPANs). ZigBee operates in the ISM radio bands and is a general-purpose, inexpensive, self-organizing, mesh network that can be used for industrial control, embedded sensing, medical data collection, smoke and intruder warning, building automation, home automation, and domestics. There are three different types of ZigBee devices in a ZigBee network: Master, Router / Repeater and End Device. 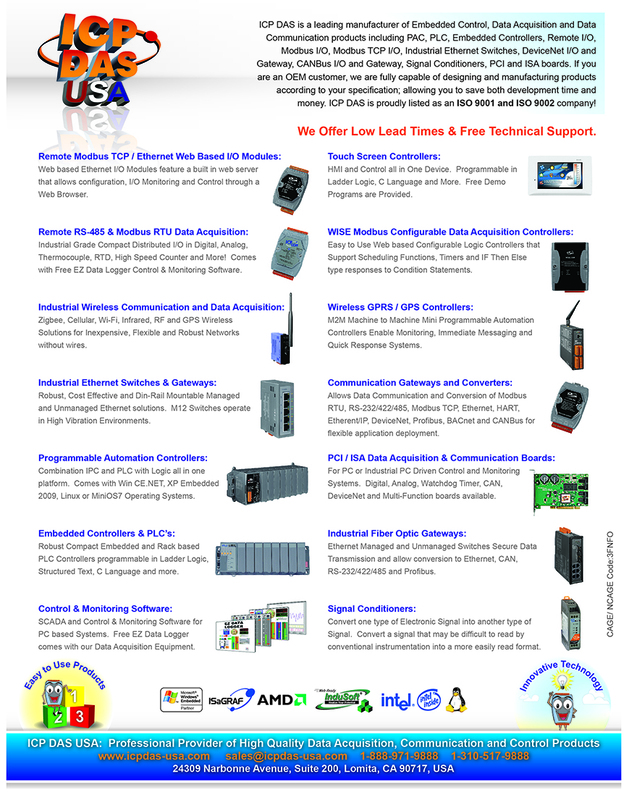 We have zigbee converters, repeaters and I/O modules. ±15 mV, ±50 mV, ±100 mV, ±500 mV, ±1V, ±2.5V, ±20mA, 0 ~ 20mA, 4 ~ 20mA or Thermocouple (J, K, T, E. R. S, B, N, C, L, M, LDIN43710) (Requires Optional External 125 Ω Resistor for current input). Wireless 8-channel Isolated Digital Input and 8-channel Isolated Digital Output Module. Wireless 6-channel Isolated Digital Input and 4-channel Relay Output Module.